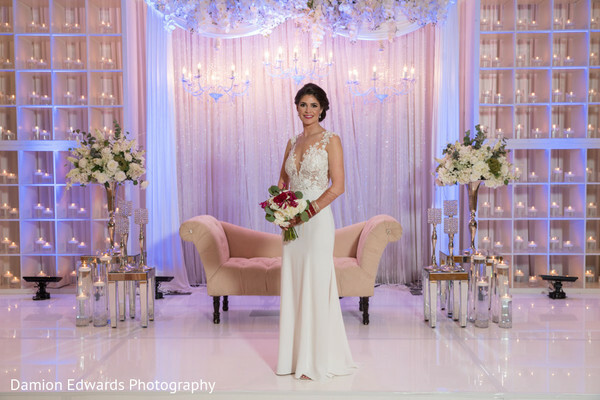 Organized and produced by the celebrated wedding planning firm Blueprint Occasions, the last event of Rebecca and Neil was nothing less but extraordinary! Today’s sweethearts held their glam bash in the fabulous Boston World Trade Center and Seaport Hotel and what a marvelous event it was thanks to the magic touch of Wedding Design! The creative team matched the couple's design dreams with a breathtaking white décor and curated the most beautiful and sophisticated centerpieces. The stellar moment for Rebecca and Neil arrived when they hit the dance floor and showed off their best moves to their loved ones and flaunted their glam western style outfits! 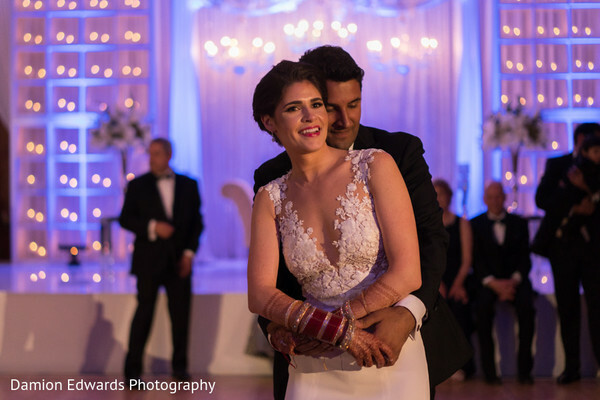 Graceful and elegant, Rebecca chose a stunning white gown that she combined with her red bangles which helped her exude timeless femininity. Bukhara Grill brought a unique dining experience to the night with a fresh dinner that made everyone love the traditional flavors of India! 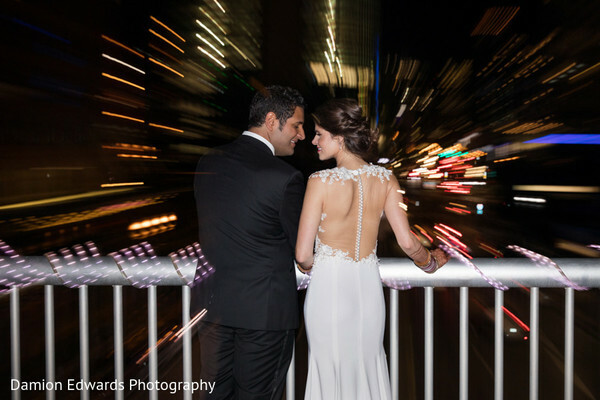 Damion Edwards Photography & Cinematography captured the night atmosphere in a very natural way so do not wait any longer and head to the gallery to check the inspiring images. Neil and I met through a mutual friend in Boston, MA. We were in the same social circle and I was drawn to his ability to make me laugh and feel myself. It was the best first date (and last) I had had and I knew from the start that I would fall in love with him. It was a November morning in Boston, a slight drizzle and chill in the air. We were meeting friends for brunch in Harvard Square and would later spend the afternoon at his parents' house. After brunch, he took a detour to the Charles River and said let’s take a walk. I knew then that he was up to something as we generally walked along the river with our dog Otto, except that Otto wasn’t with us. He took my hand and we walked to the river bank where there were flower petals as he got down on one wet and muddy knee and I said “of course” to marrying my best friend. It was a private and intimate moment shared by the two of us. We had fun with the planning process. 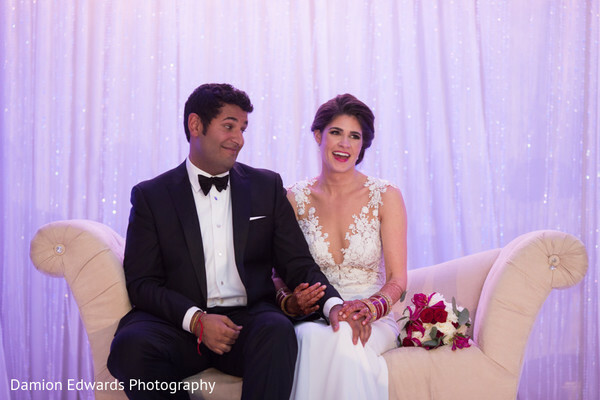 With him being Indian and me not, we chose together with our families how we wanted to incorporate our family’s cultures into our wedding events. Neil and I had 2 things that we made sure would happen at our wedding: an outdoor wedding ceremony, and I would wear a traditional white American wedding dress for the reception. For everything else, we were open to help and suggestions from our families. 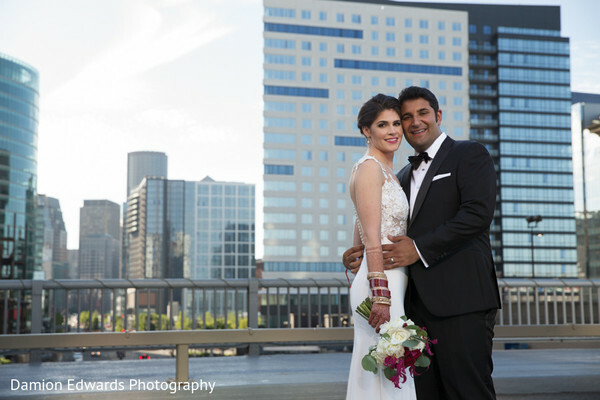 We decided on having the wedding at the Seaport Hotel, with its lovely and diverse event spaces and convenient distance from the airport as my guests would be traveling from Minneapolis, MN. We brought our wedding palette colors to Ravi Verma at Wedding Design and he designed the most elegant decor themes with our fusion wedding in mind. My hair and makeup vendors were amazing! 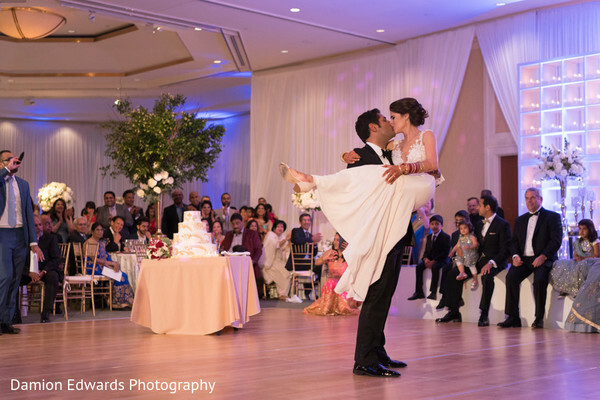 I wanted people with both experiences in American and Indian weddings. It was also important that they were easy to be around since I spent a lot of time getting ready with them for each event. At my hair trial with Stacey Kuehn, I showed her my outfits for each event and she created amazing hairstyles that completed each event’s look. My makeup artist, Jeremy Anaya, was able to easily go from light and natural to dramatic and daring. I trusted him to have fun with each event’s makeup look that complemented my outfits. Since I am not Indian I decided to wear a traditional red wedding lengha for our ceremony. With the help of Neil ’s family, I chose a gorgeous red velvet lengha with gold beadwork. I had decided to wear a traditional white American wedding gown for our evening reception. I went shopping with my mom and sisters and they helped me choose a fun and elegant Daalarna gown for our fusion reception. 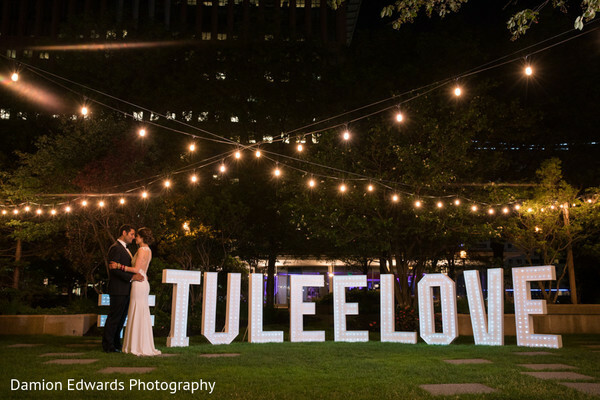 Our guests loved the fusion theme throughout our wedding weekend. 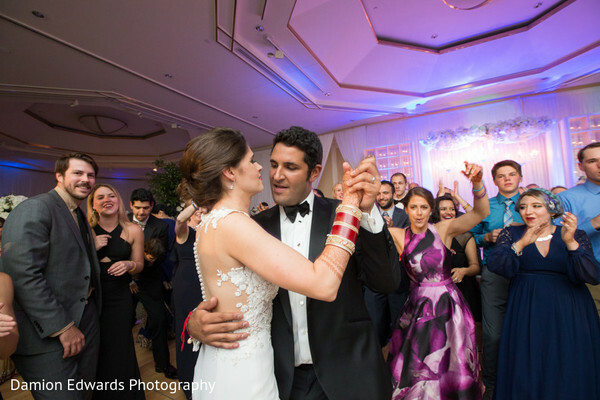 We had traditional Indian events such as the Mehendi, Sangeet, and Baraat in addition to American wedding vows and some traditional Minnesotan foods. We wanted to have something new for all our guests to experience. Have fun with your wedding planning! Sit down with your husband-to-be and decide on the few things that are a must for each of you. With multi-cultural weddings get your families input. It’s a day that is dreamed about for each family and you want everyone’s values and traditions to be heard and honored. Wishing the happy couple a prosperous married life, we say goodbye but stop by tomorrow for more charming real-life fairytales! 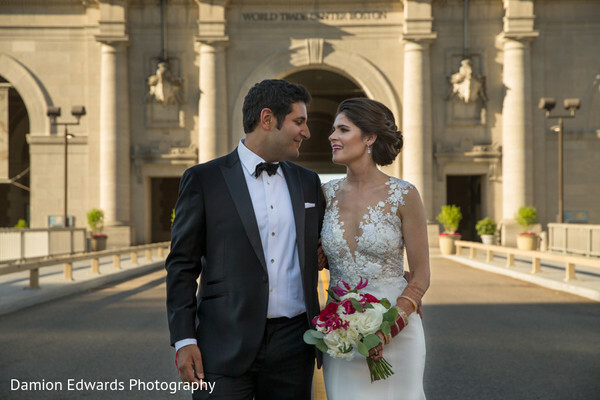 Damion Edwards Photography & Cinematography is a member of the Platinum Guide. Love what you see? Explore their portfolios.